How do I increase the volume of my harp? A question we are asked quite frequently by gigging harpists is how to increase the volume of their harp when playing live at functions, weddings and parties. Competing with a loud audience can be challenging and often leads harpists to play harder, thus tiring them more quickly. Thankfully, there are solutions. Allan takes you through some of the basics on the video on the right – or you can get the summary- including links to some of the equipment we sell – by scrolling below. NB. This guide is for harpists playing live. It is not intended as advice for studio recording. Microphones are not the best way of picking up the sound of a harp in a live application. Although they capture a nice image, they are liable to feedback due to their extreme sensitivity. They are also prone to being knocked over and can fall into your precious harp! There are a few companies which make harp pickups or transducer strips which fit inside the back a harp. These go inside the sound box and are stuck to the back of the soundboard and pick up sound directly from the harp. They are more robust, less liable to feedback and give more volume than a microphone. 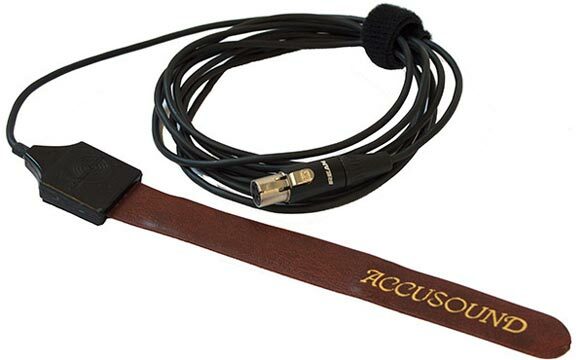 They can be retro-fitted to any harp as is the case with the pickup by Accusound which we sell. One you have a pickup installed, you will need an amplifier to amplify the sound of your harp. There are many types of amplifiers on the market, suitable for all sorts of instruments, so finding the right one can be confusing. The best ones suited for harps are usually bracketed in the ‘acoustic amplifier’ category. For small functions and weddings you’re best getting one which is round 60-100W such as this one. 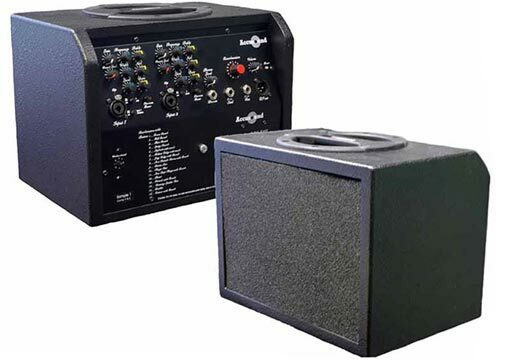 Many acoustic amps will have two channels which means that if (for example) you are singing and playing simultaneously, this can also be accommodated. The advantage of an acoustic amplifier means that you have full control over how loud you are. You can also adjust the tonal balance by changing the EQ on the amp. Some amps also come with reverb which can add a special effect to your playing! Don’t forget, if any of this is still confusing you can always ask us a question.